Prior to 1945, Hungary exhibited an exaggerated nationalism the reflected historical developments and the traditional nation-state narrative in certain symbols and artistic representations, traces of which can still be found today. The history of Hungary combines rather uneasily with the narrative of the nation state, because of course Hungary had not been an independent nation since 1526. Rather than being limited by its status as part of the Austro-Hungarian Empire under the Vienna-based Hapsburgs, Hungary used this stability to support a grand nation-state narrative. From the beginning of the 1800s and until World War I, certain key events and the Austro-Hungarian Empire determined how Hungarians represented their collective identity. The nationalist narrative created in Hungary prior to WWI shares common tropes with the traditional nation-state narrative, such as mythic origin, heroes, and the uniqueness of the people, who are then defined in opposition to ‘the Other.’ Naturally these tropes took on specific forms in Hungary. For example, it was at this point in time that the origin debate took center stage, discrediting the earlier theory that Hungarians were descendants of the Huns, and focusing on the tribes led by Arpad and the foundation of the early Christian state in 1,000 AD by St. Stephen. Hungarian nationalists throughout the era used the St. Stephen foundation myth to strengthen the concept of a once powerful kingdom, as well as the idea of a unified Magyar state against a problematic periphery which included many ethnic minorities. Public monuments and statuary attest to the popularity of these themes. 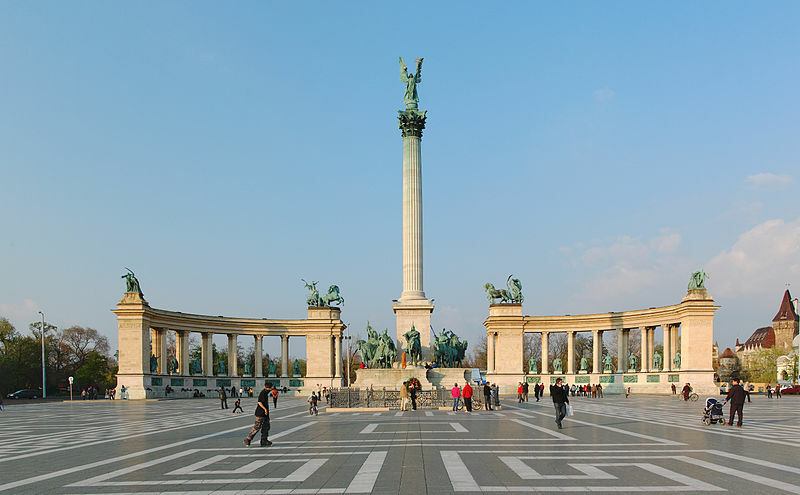 The Millennium Memorial in the center of Hero’s Square, Budapest, features statues of the Arpad and the leaders of the seven tribes that founded Hungary in the 9th century and other Hungarian historical figures. The construction of the memorial was started when the 1,000th anniversary was celebrated in 1896 (but not finished until 1900). In this period, cultural theorists attempted to scientifically define uniquely Hungarian characteristics. Hungarians begin to attach importance to folk elements and traditional dress, which it became a point of pride to wear, especially among the nobility. Common motifs include folk dancing, mythic heroes, grim-skied landscapes, historical scenes, and intellectuals as warriors. These romantic notions were popularized through print media and literature as well as appearing in the fine arts. The arts of this period also reflect the creation of ‘the Other,’ that is, non-ethnic Hungarians, in the characters of the gypsy musician or the Jewish pub-keeper. Radical expressions of Hungarian identity were politically motivated until midcentury, when the failed revolution of 1848 and the subsequent compromise meant that nationalist expressions had to be channeled into cultural expressions. Romantic ideas of a history of suffering and heroic death supported a new ‘cult of nation’ and became popular themes of print media. Explicitly martial themes became even more popular after the failed revolt of 1848. According to Emese Revesz, “Along with the ‘nation’s glory,’ the Hungarian ‘history of suffering’ was a major theme in graphic illustrations in popular culture. In the decades following the defeat of the war of independence, the theme of the ‘heroic death’ was common in the fine arts.” It is with this nationalism in mind that one must consider the following trends. The visual art that began to emerge in the 1800s, alongside and connected to literary and linguistic movements, focused on supporting a uniquely national culture. The Hungarian nationalizing movement, or Magyarization, aimed to create a more cohesive state with a center that was historically legitimate, culturally important, and politically dominant. In the arts, the ‘national school’ (nemzeti iskola) was formed at this time; Hungarian-born painters, trained abroad, came home and painted Hungarian topics, and whether they painted them well did not determine their success as much as did the nationalism of their content, particularly at the beginning of the century. 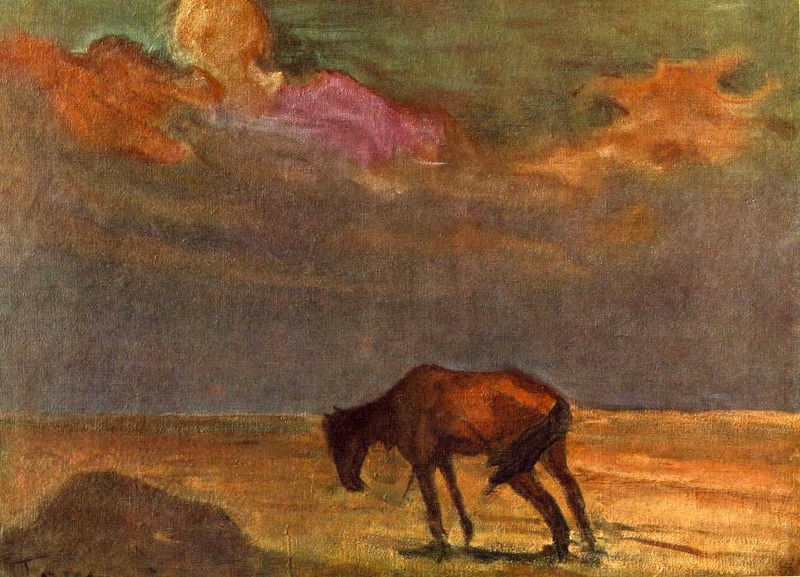 As illustrative of these developments, Erzsébet Király in Art and Nation: Image and Self-Image points to specific works of the period by Henrik Weber as well as István Ferenczy. 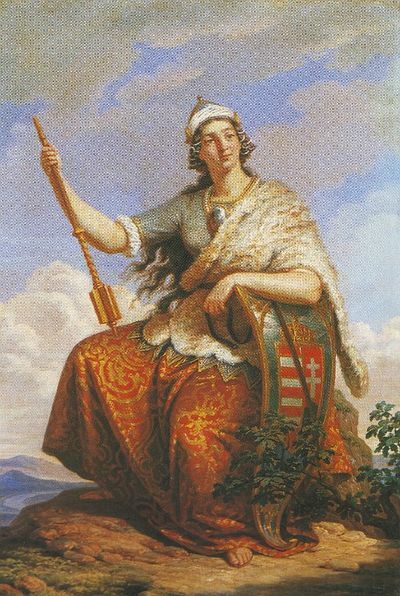 Hungaria, above, functions as an emblematic representation of the 19th century image of the nation in that it imports Western styles to represent Hungarian themes, here personified as a woman in military dress. Király also uses The Shepherdess (The Birth of Fine Art) by István Ferenczy as an example of iconic Hungarian 19th c. artwork. Done in the neo-classical style after being trained abroad, the Hungarian sculptor was hailed for this insipid but beautifully made statue of a young woman in Greco-Roman dress leaning over with a reed pen in hand. It suggested that Hungary was experiencing the birth of fine art as a nation through these works, international in style but nationalistic in content. 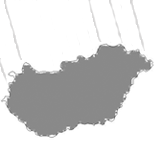 This cultural movement formed one aspect of Magyarization. At the same time, there was a desire to parallel Western culture and to show that Hungary was a modern nation, a desire that came into focus as the turn of the century approached. Prior to World War I, the arts along with Hungarian science, industry, and popular education were trying to catch up to what was perceived as advanced Western European levels, as Hungary was flush with money after a belated but successful industrialization of its agrarian economy. Hungarian visual art began to integrate modern European tendencies, with the group The Eight, for example, mixing elements of Cubism, Expressionism, and Jugendstil. Symbols such as the Turul, a mythic resurrection bird born in fire, and the Puszta, or great plain as the home of great warrior-horsemen ancestors, date from this time. These symbols and ideas still play a role in conceptions of what it means be Hungarian, especially in the popular psyche. Representations of them in contemporary art tend to examine them critically, even while a new strain of nationalism revives them in a more straightforward manner. For example, one can consider the origin debate. Discussion of the origin of the Hungarian ‘race’ took place in the 1800s and later in the century cultural critics started to describe artworks pejoratively as ‘un-Hungarian’ for the first time. This summer, the opening room at the “What is Hungarian? : Contemporary Answers” exhibition at the Műcsarnok, the main venue of contemporary art in the country, was full of works that dealt with this same myth and its modern variants. The exhibition took for a starting point (and its title) texts from the 1830s in which this question first surfaced. In the first room, a video installation showed a recent documentary of a group of Hungarians who believe themselves to be descended from the Huns. The exhibition proved to be the most well-attended the Műcsarnok has ever had. It was also widely criticized for re-posing a question that has been a historical focus in debates which marginalized groups, namely the Jews and Roma, who subsequently were persecuted and killed, particularly during the Holocaust. This illustrates the importance of history, the role myths and old concepts of national identity still play in some segments of society, the relevance of the topic to a larger audience than contemporary art typically finds in Hungary, and the problematic nature of giving a checkered past a new life through contemporary art. Emese Revesz, “Strengthening of National Identity in 19th Century Popular Graphic Arts,” in Art and Nation: Image and Self-Image, 144. Erzsébet Király, “From a National Imagination to an Image-creating Nation: Ideas about the Origins of Hungarian Art,” in Art and Nation: Image and Self-Image, 138. Erzsébet Király and Enikő Róka, Epilogue, Art and Nation: Image and Self-image, 403. 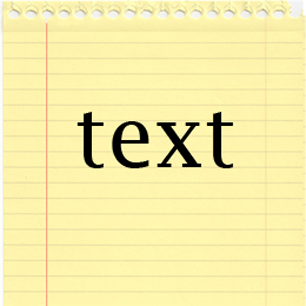 This entry was posted on December 21, 2012 by linnea8 in Article, History.